A movie review of ​COLOSSAL. ​Gloria (Anne Hathaway) is insecure because of joblessness, like a guy in a movie. She is not your typical lady lead, because her malaise does not stem from lack of a fella in her life. At end of his tether, at her nightly benders, boyf Tim kicks Gloria out of his apartment. Will the film be about her getting her sh*t together to win him back? Touch and go for a moment, but rest assured, thank f**k, no. ​For fans of humanity’s regular cinema war against giant beasties, check certain expectations at the door. COLOSSAL is not an action flick. There is actually not much monster. This is an indie movie after all, and not a blockbuster. It is a mid life crisis analysis disguised as genre. The opening would not be an opening without a grab of audience attention. A giant kaiju appears suddenly in Seoul, South Korea, at night, terrifying the few who catch a glimpse. Decades later we meet Gloria. The creature was not around long enough to make a blip on public consciousness before vanishing. It is awhile before we see her/him/it again. Tail between legs, our lead is forced back to the town of her youth. Returning to her empty family home, this is not the glory of John Cusack in GROSSE POINT BLANK. Gloria emits defeat and despondency. Helping hand comes from old school pal, Oscar (Jason Sudeikis), who owns a bar too large for the community yet still offers her a job. They had lost touch, so Oscar’s generosity of spirit rings romantic/fishy. 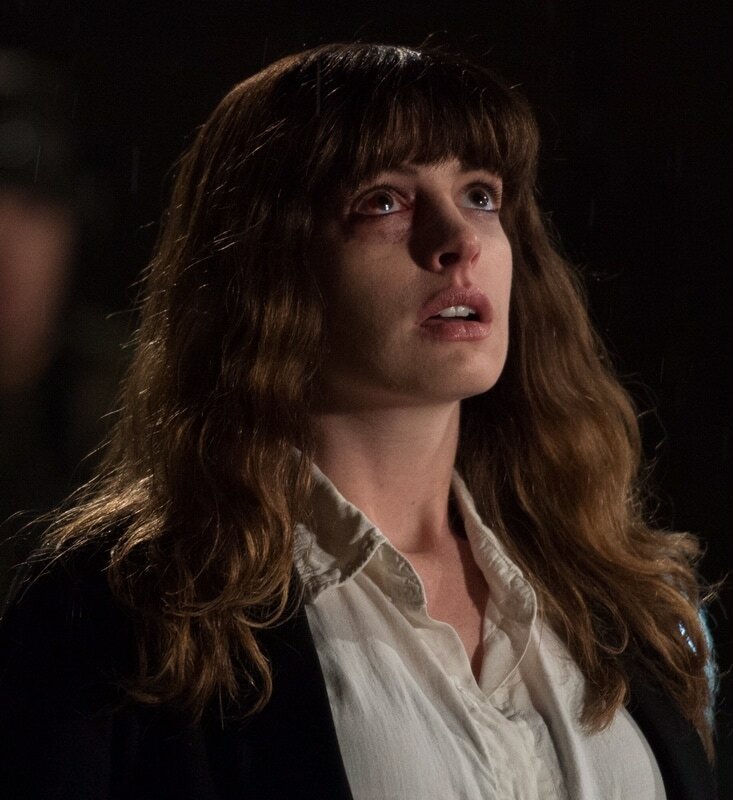 COLOSSAL winningly continually sidesteps a well trodden narrative path. Striving to dry out, Gloria succumbs. Working in a bar, and hanging out with three boozy guys (including Tim Blake Nelson and Austin Stowell), is clearly not the wisest route to sobriety. There is commentary here, on the crowd we can find ourselves in when options dwindle and we are not at our best. Blacking out one night on the way home, Gloria awakes to wall-to-wall news of a kaiju randomly arriving in Seoul and causing damage to buildings before disappearing. Turns out, the colossus is Gloria’s avatar. Why? How? It is a little bit eh? when revealed, though it is arguably meant as an allegorical tool. The film is funny, but also an interesting commentary on how insecure men can treat women. The ending is a doozy, and does that rare thing: Delivers on one’s hoped for story expectations.